Renovation of the common spaces of the business centre Green Capitol. Coming from an old-fashioned design without having any facilities besides a reception the design opened up the first 2 floors for common use. An interactive reception, network cafe, coffee bar, meeting rooms, informal spaces and lunch facilities were created. 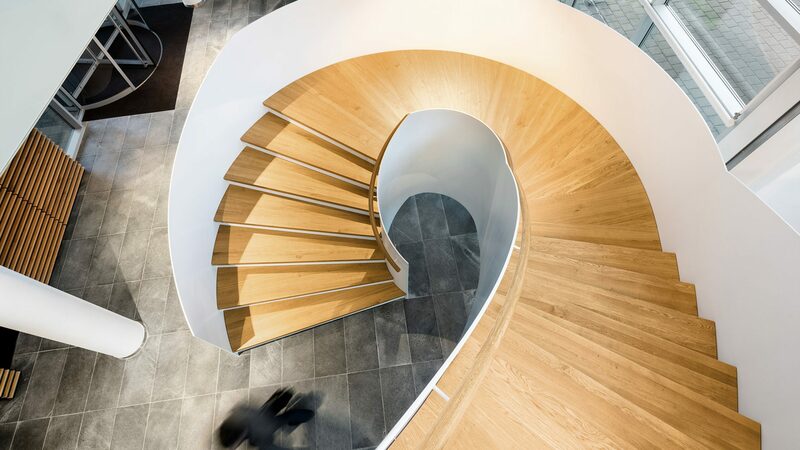 A new staircase connected the void and welcomes people to the network cafe. Warm materials were added to chosen to create an inviting welcome to both users from within the building as their guests.